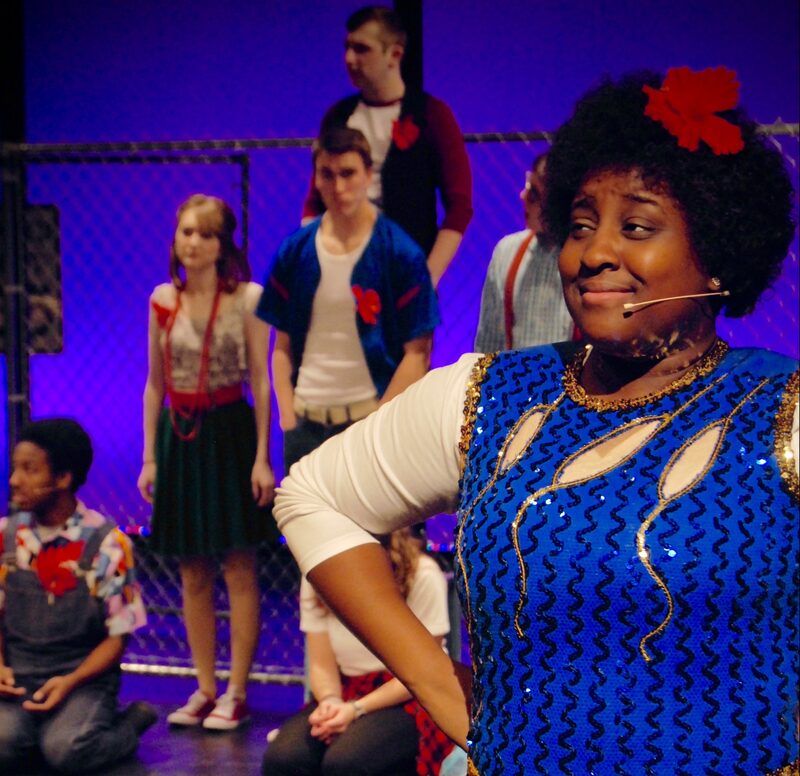 From the opening sequence of singing philosophers to the closing scene of mourning disciples, the Factory Theatre’s production of Godspell Godspell sold out several nights, and was even enjoyed by the Board of Trustees. The colorful artistry of the cast and band painted a story that was hilarious and tragic, lighthearted and sombre, entertaining and profound in equal parts. Senior Justin Langley portrayed Jesus, while sophomore Braden Oestreich played John/Judas. On his experience of rising to the challenge of portraying Christ, Langley said, “Onstage, I realized that I was really and truly representing our Lord (albeit in a contemporary fashion) with the words I said and the demeanor with which I responded to the disciples. The difficulty of this task helped me realized how difficult it must have been for God to clothe himself in humanity and respond to a hurting world with love and wisdom. Godspell challenged me to carry on that mission with humility and with confidence in the death-defying power that God provides.” The rest of the cast — Burritt Hall CRE Rose Marinucci; senior Kent Luster Jr.; juniors Mandy Pennington, Kaylee Gaines, and Chasity Cook; and sophomores Silas Groves, Emily Gaffner, and Ivy Lyons — portrayed the disciples. Godspell welcomed the greatest number of newcomers the Factory Theatre has seen in awhile; Marinucci, Luster, Pennington, Gaines, and Lyons all made their Factory Theatre debuts. 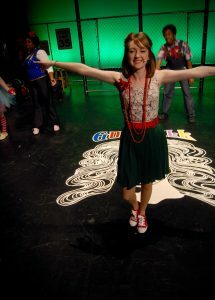 One of the unique trademarks of Godspell is that the cast, aside from Jesus and Judas, do not take on the personas of the biblical disciples, but instead keep their own names and develop their own personalities. As Pennington said, “It was a unique experience to create and shape our own characters and experience the gospel story firsthand in a new way.” Though this decision certainly serves a creative purpose, allowing every theatre to interpret the characters in an original way, it also conveys a theological message: because the disciples are not assigned the names and personalities found in the gospels, the audiences are able to identify with the disciples and recognize that all of humanity are actors both in Christ’s crucifixion and in his scheme of grace. Since its first performances in 1970, Godspell has raised controversy concerning the lack of a concluding resurrection scene. Nonetheless, the Factory Theatre’s rendition portrayed the redeeming results of Christ’s sacrifice. The disciples, with their diverse and outlandish personalities, bicker throughout the musical, but Jesus’ teachings on harmony and forgiveness culminate in the last scene, as the disciples work together to take down Jesus’ body and carry him offstage. One of the most profound moments in the musical is when the disciples allow Judas to assist them in carrying Jesus’ body. This served as an acute reminder that the grace Jesus offers extends deeper than any evil found in humanity. Another moment, unfortunately unnoticed by many, occurred every night after the curtain call: Justin ripped off the red ribbons which had tied him to the fence and threw them on the ground. Though subtle, this small act was the Factory Theatre’s resurrection scene; though Godspell did not include a specific moment of Christ’s return, the disciples’ joyous curtain call, underlined by Justin’s final act of defiance, made it clear that death was still defeated.